Want to know what you need to do to improve your time management skills? Want to identify key time management skills and techniques? 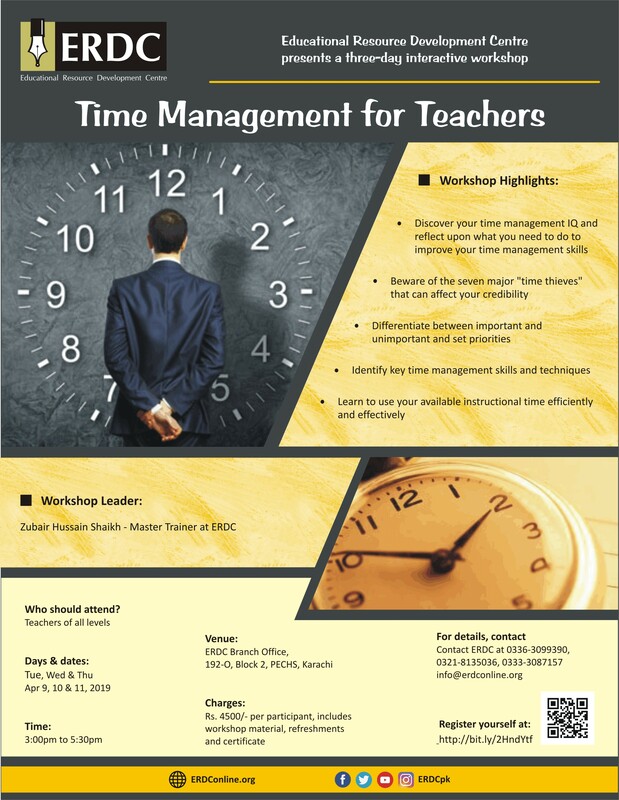 Join us in a three-day interactive workshop on ‘TIME MANAGEMENT FOR TEACHERS’ to be held from 9th to 11th Apr, from 3:00 pm to 5:30 pm at ERDC Branch Office PECHS. This workshop will be conducted by Zubair Shaikh.